U.S. Polo Assn. Printed Cotton Lycra T..
U.S. Polo Assn. Flat Front Trim Fit Ch.. Flying Machine Linen Cotton Jogger Tro..
U.S. Polo Assn. Flat Front Slim Fit Ch..
U.S. Polo Assn. Slim Fit Cotton Linen ..
U.S. Polo Assn. 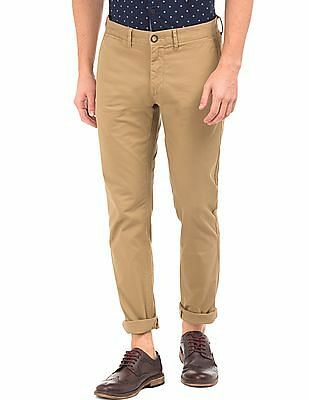 Mid Rise Slim Fit Trou..
Excalibur Flat Front Regular Fit Trous..
Express the casual side of you with stylish and trendy trousers for men available at online shopping sites for discounted prices. 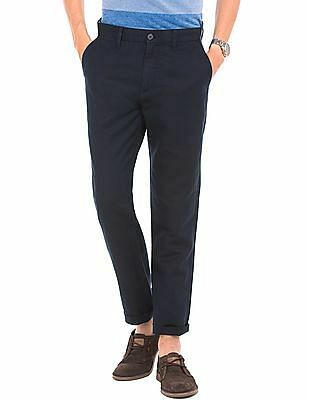 Men's trousers are so versatile that they can be paired up with both formal and casual shirts. These pieces of clothing can also go well with t-shirts and polos to achieve a striking look. Some of the popular brands for men's trousers include United Colors of Benetton, Raymond, Blackberrys, Peter England, and Louis Philippe. Shop for men's trousers based on the material, occasion and price from online retailers. 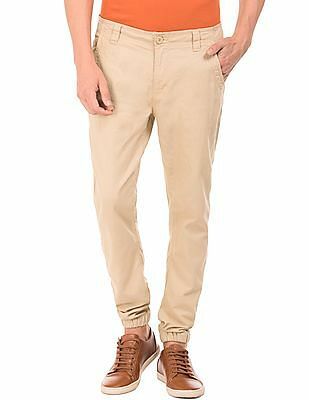 You can pick the fit that is needed for the trousers and more usually it is the slim and regular fit that looks classy. Shop for men's trousers online at fashion retailers like Jabong, Abof and Myntra with big discounts and cashback offers. The advantage of shopping online is that there is a huge collection of trousers available at nominal prices. Check out the fabric, color and rise before comparing prices and making a purchase decision. The ideal time to purchase men's trousers is during shopping seasons and festive times when they available at the cheapest price. Ace the casual look with fit and relaxed casual men's trousers. Get these trousers online from shopping sites with discounts and added offers. 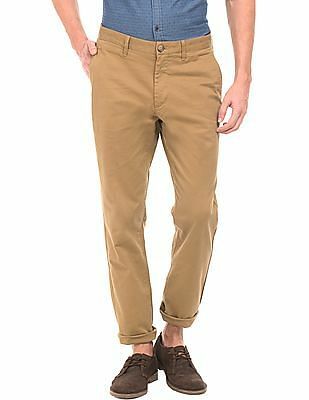 Some of the top-selling brands for casual men trousers include Turtle, Arrow Sports, Jack and Jones, and UCB. Get the best price on these trousers with the use of discount coupons and offer codes. 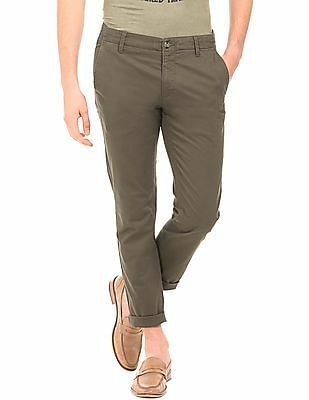 Cotton casual trousers are more popular among young men and are available at all major online shopping sites including Amazon and Snapdeal. You can rock the trendiest mens fashion look with a good pair up of cotton trousers and casual shirts. 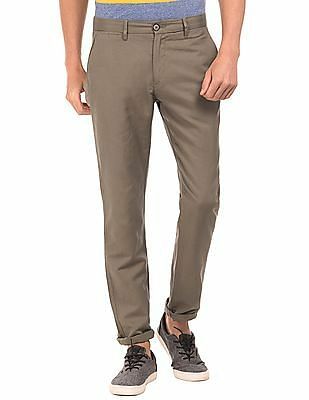 US Polo trousers are usually available for discounted prices at online shopping sites and extra coupons can be availed to bring the price further down. 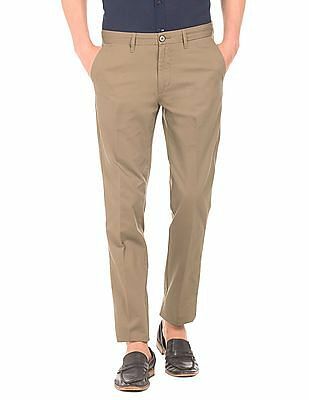 Trousers from U.S. Polo are available in many colors and fits. Check out the latest deals to grab the best U.S. Polo trousers at nominal prices. 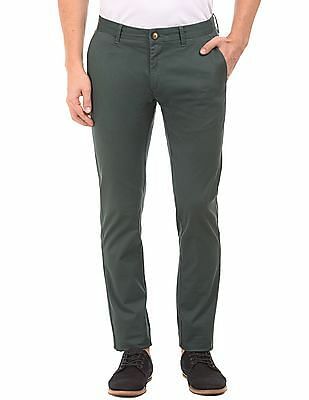 Get trouser pants for men from reputed clothing brands like John Players, Park Avenue and Raymond at the best prices. 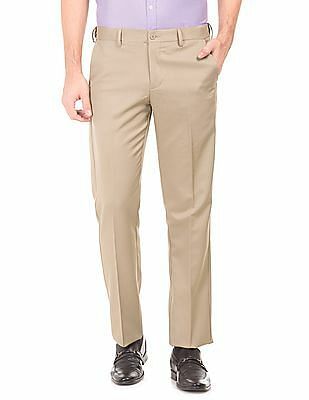 Men's formal trousers are available at shopping sites and fashion retailers at affordable prices. 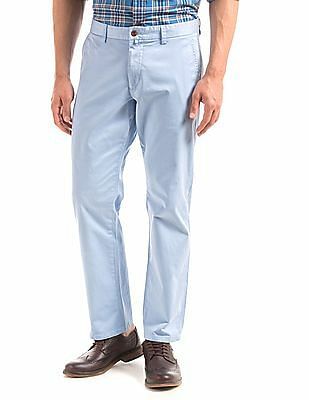 These trousers look the best when combined with wrinkle free and fresh formal shirts. Have a look at formal shirts for men that go along well with formal trousers for all kinds of business occasions. To further accentuate the look, get a suit over the formal shirt and leave an instant impression. The deadly trio combo of formal shirts, trousers and suits will let you make a lasting fashion statement wherever you go. Some of the top brands to look for suits are Louis Philippe, Van Heusen, and Raymond. Get the best-selling Raymond suits at cheap prices with the use of discount coupons and promo codes on shopping sites. 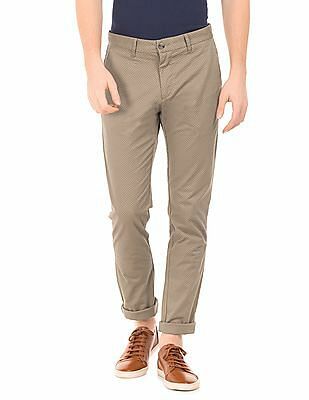 Grab fashionable men's trousers with good discounts and added cashback offers. You can save more on your men's trousers purchase by shopping at online retailer through CashKaro. For every transaction made at online retailers via cashback sites like CashKaro, you get extra cashback which can be transferred back into your bank account. You can get cotton trousers online and even shop Jeans for men to grab additional cashback. It's time to turn the fashion side of you on with a whole range of trousers for men from leading shopping sites and retailers.